For those times when you want to walk out the front door and right onto the boardwalk, we’ve got The Sea Star! 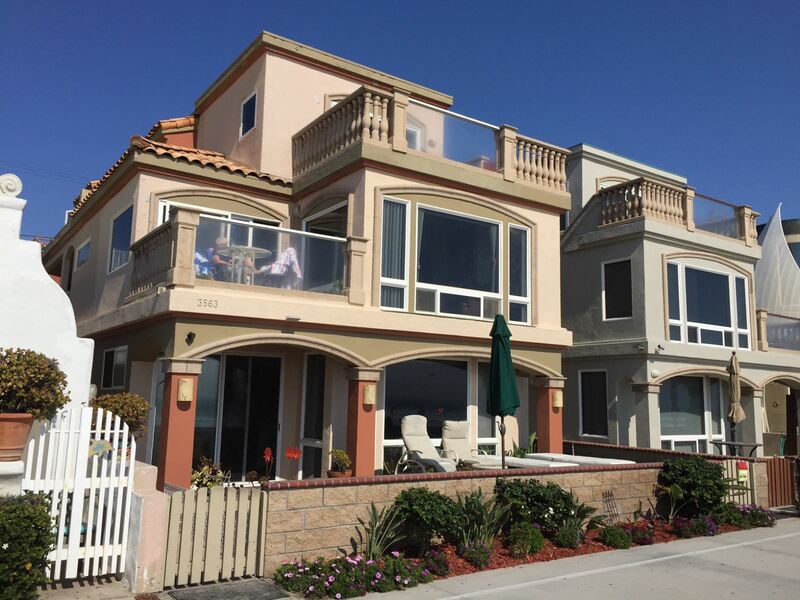 This four bedroom (all with ocean views) and 3 bathroom location provides the perfect accommodations for an ideal beach vacation. 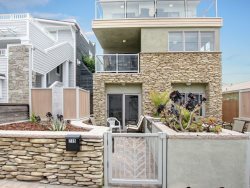 Located between Nahant and Nantasket Courts at 3563 Ocean Front Walk, this is arguably the best area in Mission Beach -midway between Crystal Pier and Belmont Park. Bring the entire family or squad when you stay in this two-story 2000SF beauty! You can sleep up to 8 adults and 2 juniors between the King size bed in the Master Bedroom, Queen size beds in the second and fourth bedrooms, and a Full size and Twin size in the third bedroom. The Master and bedrooms two and three are upstairs on the third floor of the building, and bedroom number four is on the first floor of the unit, second floor of the building. We recommend saving the fourth bedroom for the snorer in your group... no one will be able to hear them! The kitchen and dining areas are fully equipped with service for 10 and seating for 10. The kitchen has a floor to ceiling ocean view! It’s not really a vacation unless you can brew a pot of coffee while you check the surf. With four balconies, two of which are water front, this townhome is truly a jaw-dropper. Centrally located and overlooking the entire beach and the boardwalk, there's plenty of people watching to do when you tire of the flawless sunsets and tranquil rolling waves. Hate the sand but want a tan? The balcony off the Master bedroom is large enough for you and a few friends to sunbathe. Don’t forget your sunscreen! Come and enjoy sunny San Diego! Our stay over the Labor Day weekend was excellent. The Sea Star was perfect for our family and we would definitely recommend it to others who are interested in a vacation to San Diego (Mission Beach). The Sea Star is in a really great location with tons of options for things to do! Thank you for all your assistance. Thanks. Fabulous! I return to mission beach every year and this by far is my favourite condo! spacious, comfortable and clean. the big windows from the living room looking out to the beach, as does the balcony from the master bedroom upstairs. sights and sounds of the ocean everywhere, relaxing and beautiful. the kitchen is roomy and well equipped with everything imaginable...nothing has been forgotten. the garage easily fits two cars side by side....i have stayed at other condos where parking is a nightmare. i was initially worried that guests beneath us would be noisey but this was unfounded...a young couple live there and do not rent out the property. they are very friendly and laid back, just like all the people around here! the sea air surely makes people happy! thank you so much for letting us stay in your wonderful condo...we'll be back!